Biomechanics is an interdisciplinary science that studies the concepts of mechanics applied to human. It evolves on the border between biology and mechanics by appropriating the knowledge of many other scientific disciplines. Many categories make up biomechanics. One of them is the biomechanics of sport and exercise, which aims to study mainly the movement of the human body and its interaction with the environment in which it evolves. It is a very complex subject. The human body is an articulated system whose muscles are the internal motors that allow movement. This structure is hierarchically directed by the brain and the nervous system. This is why the knowledge and experience from different scientific disciplines is necessary for its full understanding. The applications of biomechanics are constantly growing and expanding because virtually all human activity is linked to the mechanical interaction between the body and the environment in which it evolves. 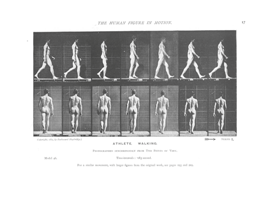 Among the different applications of biomechanics, it is possible to mention the study of locomotion, the design of prostheses and orthoses, the improvement of sports performance, the design of sports equipment, the study of living in complex mechanical interactions such as in air, water, weightlessness, human-machine interaction studies, as well as robotics, etc. Through different chapters, the Biomechanics of Sport and Exercise course will focus on explaining to you the fundamental bases that must be mastered to better understand the performance of the human body during movement and exercises. Do not hesitate to consult the site regularly, the course will be updated, chapter after chapter.